"Plot" tab of "Choose plot" tabbed dialog. For each kind of conceptual scheme and test conditions (constant/variable rate, one/multiwell test, drawdown /recovery observation data) the program will offer a special list of available plots. Available methods of analysis, in return, depend on the chosen plot. 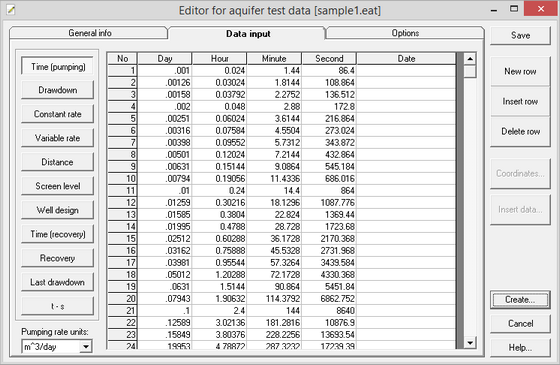 Tab is activated from main menu "Choose > Plot", function key F5 or by right mouse click on the on the main plot field. 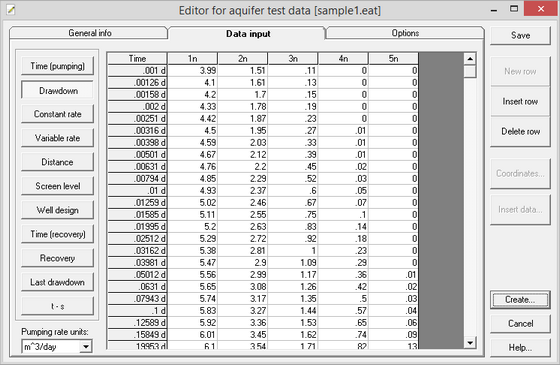 Examples of "Choose plot" tabs: choose plot for construction and aquifer test analysis.